Students have a right to learn side-by-side with their classmates. Parents who are puzzled by all the acronyms in education can rest assured that they are not alone. LRE stands for Least Restrictive Environment. LRE is a foundational principle in special education. 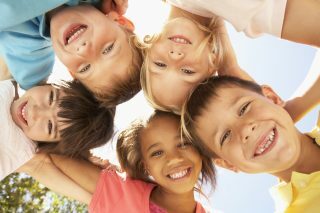 Our special education laws are intended to provide all children ages 0-21 with access to a Free Appropriate Public Education. FAPE is another acronym worth learning because it’s a primary civil right in the United States. 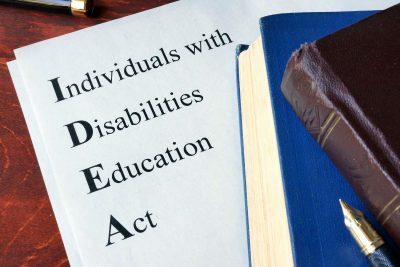 Inclusion through LRE is part of the Individuals with Disabilities Education Act (IDEA), a federal law that ensures individualized access to FAPE for children with one of more of the 13 qualifying disabilities that are defined by the law. The IDEA protects students’ rights through six primary principles. For more information on the IDEA, visit the Center for Parent Information and Resources website, called the Parent Center Hub. A link to the website is listed at the end of this article. The rules regarding LRE have been a key provision of IDEA since it became law in 2004. 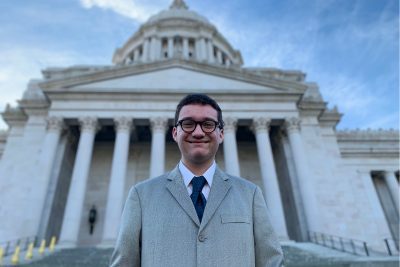 The requirements are a response to public outcry about special needs children being “siloed” in institutions, separated from their peers and removed from neighborhood schools. 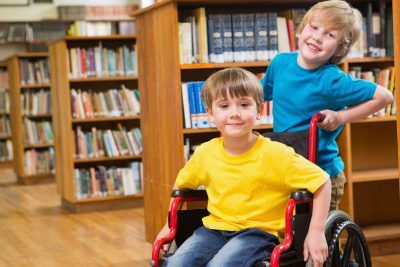 School systems now understand that students learn critical social skills from one another and that the behaviors of “typically developing peers” provide an important mirror that students with disabilities can learn to reflect. A child observes a classmate sharing and learns to share. A boy watches his buddy transition calmly to recess and chooses to follow along. A girl helps make a straight lunch line and learns to enjoy her role in that group. Clearly children learn from each other, and students who are isolated from these opportunities can struggle with social learning. The LRE requirement means that schools must try to enable a student to learn in general education settings, whenever and however that might be possible. LRE requires schools to provide access not only to regular classrooms but also to classes like PE and art, and to extracurricular activities. To provide appropriate access, a school might supply an aid, a specially arranged room, some helpful equipment or adjusted teaching methods. The possible accommodations are endless and must be thoughtfully designed. When writing a student’s Individualized Education Program (IEP), team members can get creative about how to help the student succeed: Your input as parent or guardian is important, and sometimes students are their own best advocates for designing clever accommodations. You or the school can also invite outside input from therapists or behavioral specialists to design accommodations that might boost the chances for LRE to succeed. In other words, all students are General Education students first. 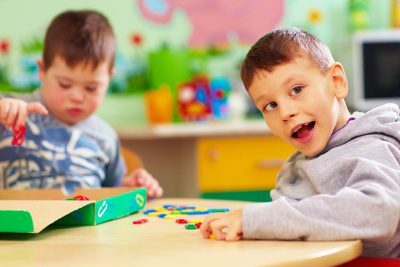 Special Education provides extra services that are specially designed to maximize each student’s skills, goals and capacities. The Federal Register, which is the document that describes federal laws, is very clear in explaining that placement decisions must be individualized to meet the needs of each student: Schools cannot make placement decisions based on the district’s needs or available resources. The Parent Center Hub website, listed below, has a variety of links to resources that detail these federal requirements. Sometimes a special education classroom for all or part of the day is the best place for a student to learn, but the school must show a determined effort to offer LRE placement. Parent members of the IEP team have the right to question the placement and to request evidence supporting the school’s position. Parents or guardians always have the right to contest a school’s placement recommendation. When you are discussing your child’s IEP, be sure to talk about LRE. Your knowledge might help the next spoonful of alphabet soup provide meaningful nourishment to your child’s education.